This entry was posted on March 22, 2019 by Amberley Publishing. There have probably been more words penned about Muhammad Ali than any other sporting person in history – and the books still keep coming. Most of them are sitting on my bookshelves at home. Many authors of course recount stories of his former career as a boxer, some about his stand against the Vietnam War. Many remind us of his remarkable character and personality outside of the ring. Nowadays, if that new generation of fans wants to watch the majority of his fights, they can be viewed on YouTube. His bouts – especially with Liston, Foreman and Frazier – have all been well documented. However, some of his lesser-knownbouts are confined to one or two paragraphs in books. This is insufficient to grasp the sometimes historic importance of certain fights, or to convey the turbulent times which surrounded them. The best example of this is when Ali first returned to boxing in 1970 and fought top contender Jerry Quarry. For some reason, in historical terms, this bout is recorded as a mere footnote. In reality, at that point in time, the bout was arguably the most highly anticipated big fight involving a returning champion since the ‘Great White Hope’ Jim Jeffries fought Jack Johnson way back in 1910. The reason Ali’s first return fight only receives a limited mention is perhaps because he was a (relatively) easy winner. Or maybe it was because his biggest challenges were just around the corner – his fight against undefeated Smokin’ Joe Frazier and the outcome of his battle with the Supreme Court, both happening in 1971. Later, there was so much happening in Ali’s supercharged life that his return bout after a three-and-a-half-year hiatus only served as an introduction to the title-fights that followed. I have searched through my extensive selection of books on Ali and at most, authors dedicate a chapter or two to Ali’s comeback fight. Yes, the first Quarry fight can be viewed, but the battle alone doesn’t reveal the highly controversial events surrounding it. Some accounts concentrate on the day before and the day after the bout, while some talk about the fight but only give a short account of the build-up and events afterwards. Movies detailing the life of the former champion fail to give this event the recognition it deserves. (One of the main characters in this story complained in a 2005 interview that one of the major Ali biopics only gave this bout a cursory mention.) There are snippets of information everywhere about the fight and events surrounding it, but no full retrospective account. So, here it is. I also hope to give one man the credit he deserves – the accounts I have researched seem to mention him only briefly. That’s the man standing opposite Ali in the ring on the night of 26 October 1970 – Jerry Quarry. Even leaving out the importance of the fight as the first for the ex-champion after his exiled years, the drama, characters and shenanigans outside of the ring make this an extraordinary story. This fight, which happened almost by accident, was hosted in the unlikeliest of places: Atlanta, Georgia, a city burnt to the ground in the American Civil War and the site of deadly race riots in the early part of the 20th century, but by 1970 the epicentre of the New South and one that had evolved as regards the balance of political power. Even before Jerry Quarry set foot in Atlanta, many newshounds and fans around the globe had him cast as a modern-day ‘Great White Hope’. There were also comparisons made between Ali and another once exiled champion, but one from the turn of the century: the first black heavyweight champion, Jack Johnson. In 1970, the Ali v Quarry fight was an international event and the press around the globe went to town. For Ali’s comeback, promoters brought all the way to Georgia a fighter regarded by many commentators as the hardest-hitting white fighter since Rocky Marciano. Jerry Quarry was the real deal, and just prior to his arrival in Atlanta the talented fighter from California was rated number one among the world’s elite heavyweight contenders by The Ring magazine. 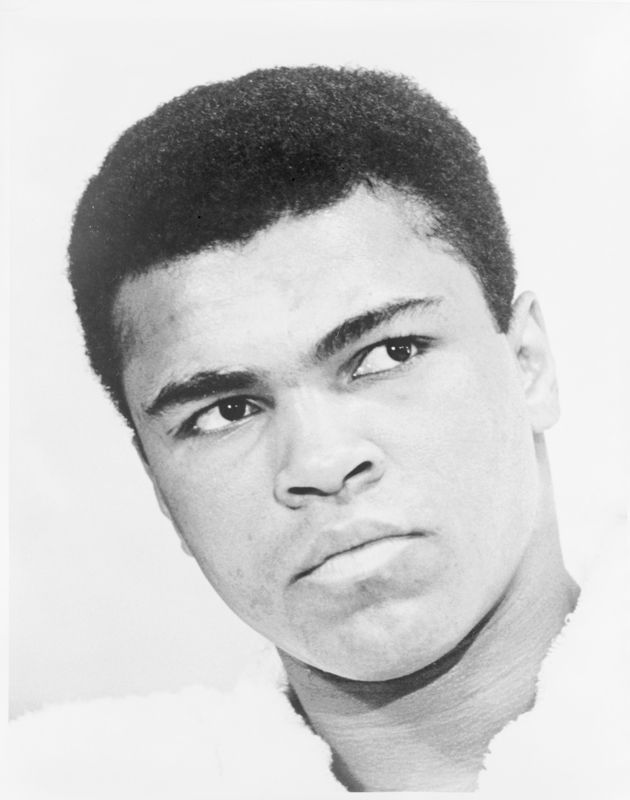 In addition to his number one status, he had been voted the world’s favourite active fighter by readers of Boxing Illustrated for the second year running (1968 and 1969). Jerry Quarry was riding high in the boxing world. He had previously made comments to the press about wanting to drop the ‘white hope’ tag, but in taking on the hugely controversial former black king of the ring, Muhammad Ali, the similarities with Jack Johnson and his fights with Great White Hopes Jess Willard and James J. Jeffries ensured that wasn’t going to happen. When Ali returned to boxing, he was still years away from the adulation he would eventually attract. Then the fighter evoked intense feelings of love and hate, which ran through the veins of people the world over, especially in America. This was mainly because of his allegiance to the Nation of Islam and his refusal to take part in or support the war that was still raging in Vietnam. His publicly espoused views, combined with his character and personality, made him the most controversial athlete on the planet. The fight was headlined with slogans such as ‘The fight nobody else wanted’, ‘The Return of the champ’ and ‘The Battle of Atlanta’ (the original battle of Atlanta having taken place from 22 July 1864 to 2 September 1864, with over 9000 casualties). A hundred years later, in October 1970, another bloody battle took place in Downtown Atlanta – just on the intersection of Courtland Street and Gilmer Street in an old arena called the Atlanta Municipal Auditorium. 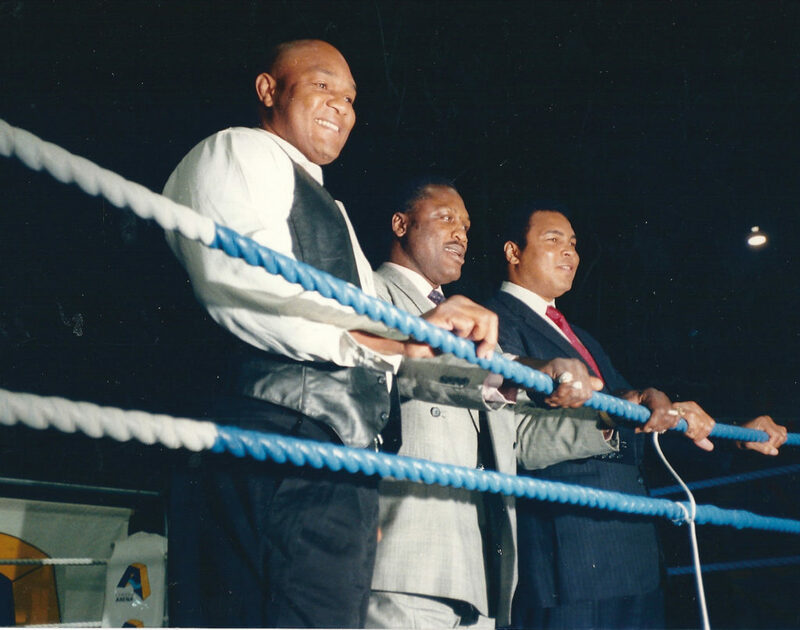 The fight attracted mainly African-Americans, who turned up to see the ring rebirth of ‘their’ champion. At the time, Ali’s night in Atlanta was called by some a ‘black awakening’. Many who turned up came from the entertainment world, and some were hugely rich and successful. Their wealth was openly on display as they preened in the international spotlight, draped in expensive furs and jewels. It was a way of saying that Ali, and everything he represented, represented them too – black, beautiful, bold and the best in the business. It was certainly a night of ‘soul-power’ and soul at its most colourful. However, this jamboree in Atlanta also attracted some of ‘the best’ from the underbelly of American society; it wasn’t only the rich and famous that turned up, but also crooks, racketeers and gangsters. Big-time boxing always had a reputation for attracting both the famous and infamous in society. They said Sonny Liston once had links to the mob, and even the most famous gangsterof them all, Al Capone, was regularly spotted ringside at the big fights, especially the ones involving his sporting hero, the ‘Manassa Mauler’ Jack Dempsey. At these events, film stars of the day settled into their expensive ringside seats alongside the gangsters. The fight itself was the climax of a big sporting weekend in Atlanta, and for a few days the cash poured in. The bucketfuls of moolah in town presented a prize opportunity for some villains to win big themselves. All they needed was a plan, and when that plan came to fruition it ended up with some of those bejewelled spectators who sat in the $100 ringside seats being victims of armed robbery. After all the money and diamonds were bagged and carried off into the night, one detective who worked on the case called it possibly ‘the biggest armed robbery in Atlanta’s history up to that point’. The year 1970 meant ‘flower power’, black power and peace protests. It was also a time of great disillusionment and anger, and the start of great changes, not just in the social and political world but also in the world of heavyweight boxing. The former champ would return to more than a reshuffled division. It would be one with some new additions – a division some experts said was the strongest in a while. At the beginning of 1970, the heavyweight boxing ratings now included 1968 Olympic heavyweight champion George Foreman, and knockout artist and undefeated ex-marine Mac Foster. Another new face on the scene was Leotis Martin, who caused a huge upset by knocking out the ‘bear’, Sonny Liston, in a pre-Christmas brawl in 1969. Teak-tough brawler Oscar Bonavena was still riding high in the ratings, with former 1964 Olympic Heavyweight champ Smokin’ Joe Frazier recognized by the New York State Athletic Commission as world pro champ. Ali’s former sparring partner, Jimmy Ellis, was WBA Heavyweight Champion. The sandy-haired Californian slugger Jerry Quarry, who started his pro career back in 1965, also added glamour and power tothe division. Many thought Jerry was a sure bet to be a future champion, despite losing previous title shots to Jimmy Ellis (1968) and Joe Frazier (1969) during Ali’s enforced exile. In early 1970, the heavyweight division still included some of Ali’s old opponents, including Sonny Liston, Henry Cooper and George Chuvalo. Cooper was reaching the twilight of his career, with Liston just hanging in there with plans for a 1970 comeback, while George Chuvalo, who also had a controversial win over Quarry, was mooted to take on undefeated heavyweight sensation George Foreman later that year. Other new and young heavyweight hopefuls on the horizon were lining up and the one that showed the most promise in the UK was a then 19-year-old blonde Adonis called Joe Bugner (he would turn 20 on 13 March of that year). However, at the beginning of 1970, although Ali had been inactive for years, his name was still printed in the respected Ring magazine above all others as the heavyweight champion. The ‘bible of boxing’ would stand by the inactive boxer until the law courts gave a final verdict on his fate, or he permanently retired. So, for many, Ali was still champ, but a champion without an opponent as he was not allowed to fight. 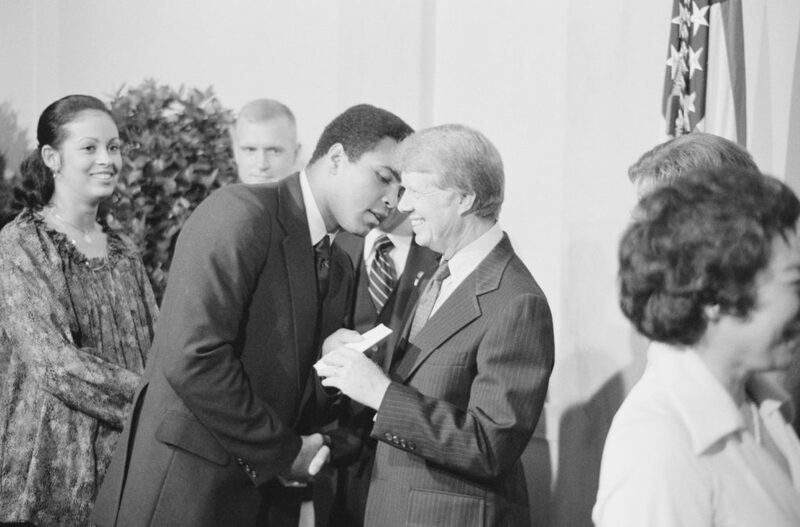 There was and still is, nothing crazier than boxing politics and at the beginning of 1970, Frazier, Ellis and Ali were recognized by various organizations as world heavyweight boxing champion. So let’s go back to those crazy times and follow the turbulent events, which led all the way to that wild, celebratory and for some, dangerous night of Ali’s return to boxing in Atlanta, Georgia. 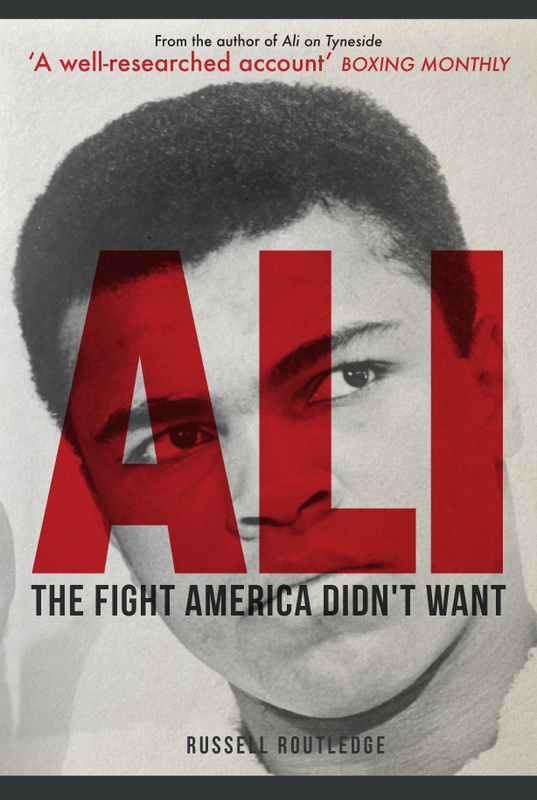 Russell Routledge's book Ali: The Fight America Didn't Want is available for purchase now.